Kerala Villege Fair is Coming on January Month Every Year and running to 10 Days in Kerala. 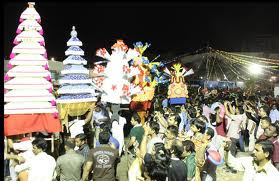 Kerala Village Fair, a cultural event celebrated for ten days in the month of January, is organized at Kovalam Beach and Marine Drive (Ernakulam) in Kerala. 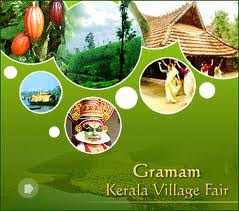 It is also called as the Gramam Fair. 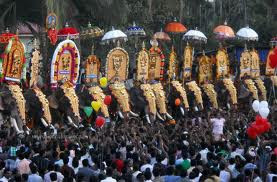 The fair is a celebration of the tradition and customs of Kerala state. 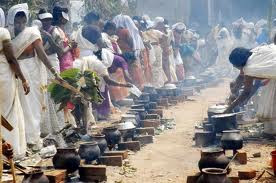 A typical Kerala village -'gramam' is recreated replete with the traditional Nalukettu houses, 'chayakkada' local teashops etc. 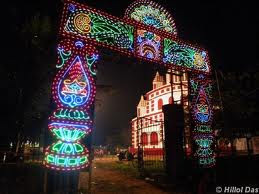 Traditional thatch houses (Nalukettu) are decorated during this ten-day long festival and are the venue for folk dances, music and festivities. 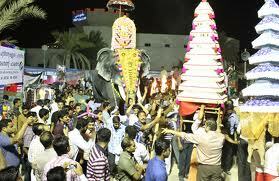 This fair represents the nostalgic recreation of bygone era of rustic simplicity and ethnic charm. 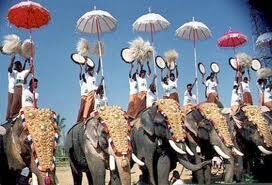 Astrologers, artisans and even sorcerers, provide the visitor a glimpse of Kerala's rich past. 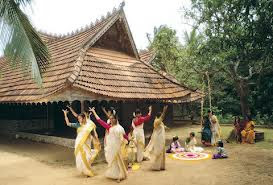 Nalukettu, the traditional upper class homestead ('tharavadu'), the quadrangular mansion recreated using wood and tiles with a central open courtyard, corridors, massive pillars and dormer windows is typical of Kerala's Architectural Style. Inside the Nalukettu are displayed a wealth of antiques. Priceless furniture in Teak, Mahogany and Sandalwood, charming curios like Jewellery Boxes, Spice Bowls, Ethnic Jewellery, Exquisite Paintings and Shields and Swords Wielded by men of yore are on show. Musical Instruments, Palmyra Fans, majestic Wooden Four Poster Beds, householdutensils remind one of a bygone era. The whole of the Keralian Village is created in the Village Fair. thatched Houses called the Nalukettu Houses. The traditional upper class houses called the Tharavadu - Quadrangular Mansions made of wood and tiles having open courtyards, corridors, massive pillars and dormer windows are made showcasing the typical Keralite Village Mansion. Inside these mansions and cottages are the jewels of Kerala. 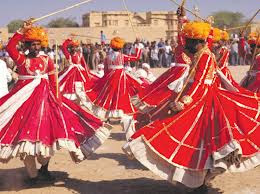 Priceless teakwood furniture, sandwood showpieces, jewelry boxes, spice bowls, ethnic jewelry, exquisite paintings, musical instruments, four poster beds, palmyra fans, swords, shields all are on a display in these Village Houses. 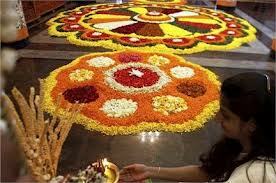 Outside the house there are the colorful Pookalam called the floral decoration of the courtyard is done. Thousands of flower petal leaves are used to make these patterns full of colors. By Air: Thiruvananthapuram International Airport, about 18 km from Kovalam. 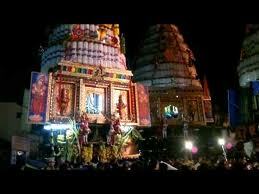 By Road: Kovalam is well connected by road.